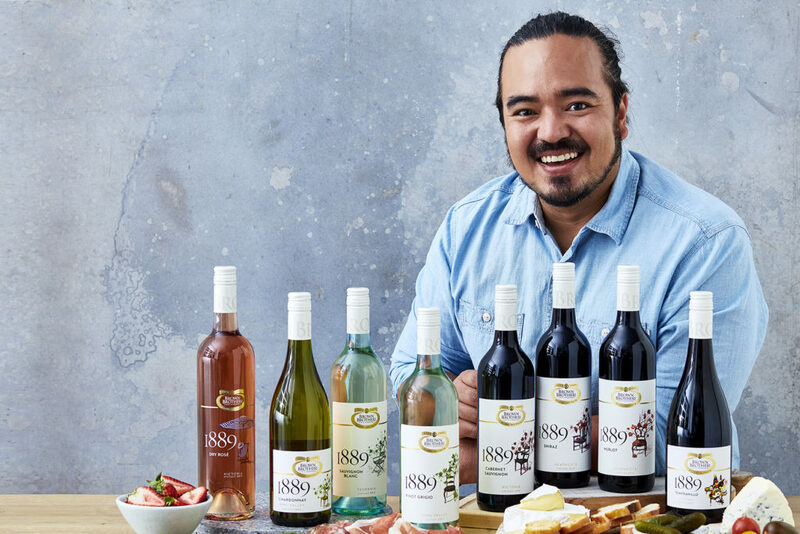 Named after the year John Francis Brown made his first vintage at the Milawa family winery in Victoria’s King Valley, the 1889 wine range celebrates the Brown family’s winemaking traditions, and is designed to be enjoyed and shared around the family table. Whichever wine you drink it should be one that you enjoy, whether that’s a smooth and elegant Shiraz or fresh, dry Rose. Brown Brothers 1889 range offers an exciting variety of traditional and non-traditional wines, drawing upon over 130 years of winemaking experience to produce wines for year-long enjoyment. No matter the season, this range is designed to match perfectly with your mid-week meal or Sunday lunch. Pinot Grigio is fresh, crisp and light. 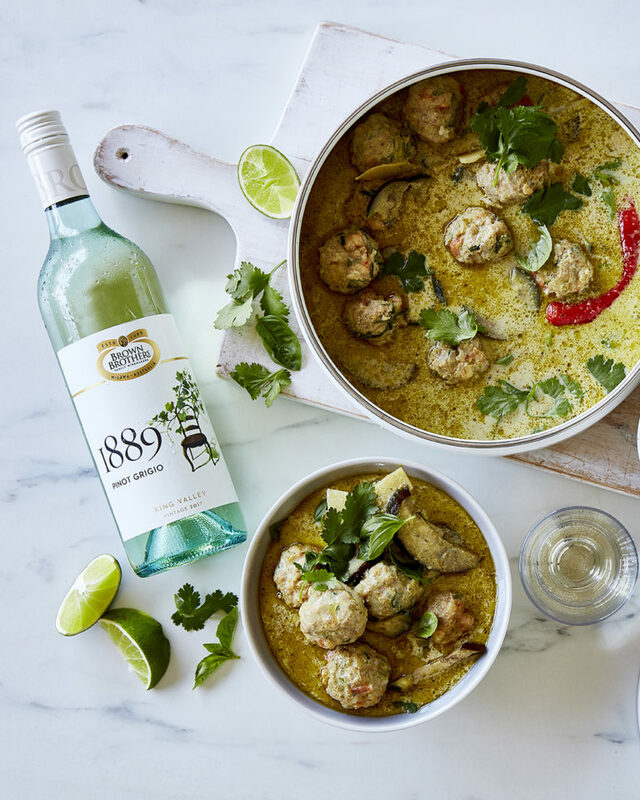 An ideal partner for curry with flavours of creamy coconut and spices topped with fresh coriander. Tempted by Tempranillo? 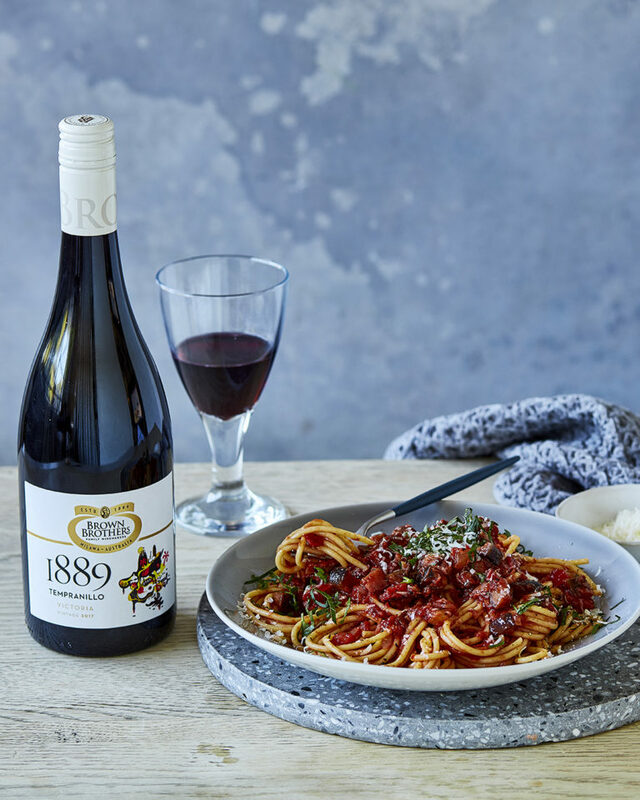 If you’re curious about a wine you may not yet be familiar with, we recommend trying this medium-bodied red alongside a tasty pasta dish like Adam Liaw’s spaghetti with eggplant, tomato and chilli. 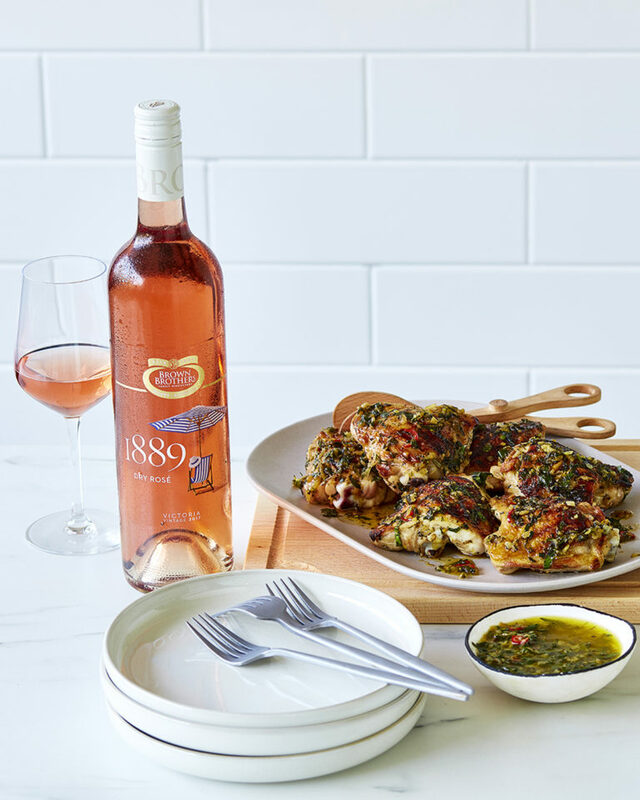 Rose is a perfect wine for all kinds of foodies. Suiting most meals including seafood, pasta or long lazy lunches, it’s also an excellent match for summer BBQ’s or a mid-week dinner with friends. Adam’s barbecue chicken is an easy recipe that is elevated by a lovely herb butter. Shiraz and steak night. 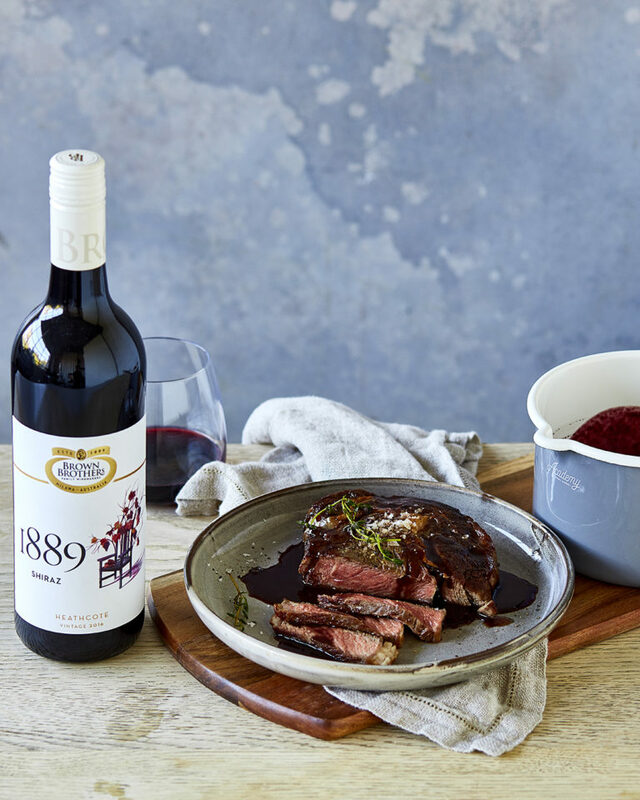 Wow your next dinner guests with this easy to follow recipe, adding a drop of 1889 Shiraz to your sauce for a surprise kick!